When I get a job interview, there's a lot to prepare. I diligently research the company and my interviewers, pore over Glassdoor interview questions, and print out copies of my resume and portfolio. When I interview someone else, it’s easier to prepare. I don’t have to put together the perfect outfit, I don’t have to worry about how to find the restroom, and at the end of the day, I don’t have to worry about if I got the job or not. A quick Google Search for job interview questions brings up some of the most common asks you might have already answered 20 times over the course of your career. They’re popular, but that doesn’t mean they’re good questions. In fact, they could be hurting your chances of the candidate accepting an offer. Nobody wants to feel stressed out, put on the spot, or tricked during a job interview. After all, you wouldn’t want to experience that in your day-to-day job, so why do we demand it of candidates? Be mindful of the different personality types, cultures, and backgrounds that are applying for open roles at your company, and consider retiring some of the more common interview questions in your arsenal. Instead, try these alternatives that might give you more helpful information about the candidate -- without making them feel awkward in the process. 1) What can you tell me about yourself? You might be surprised to see such a traditional interview question at the top of our list, but it's not as great of an opener as you might think. In fact, from the candidate's perspective, it might tell them that you haven't read their résumé, browsed their portfolio, or checked out their LinkedIn profile. 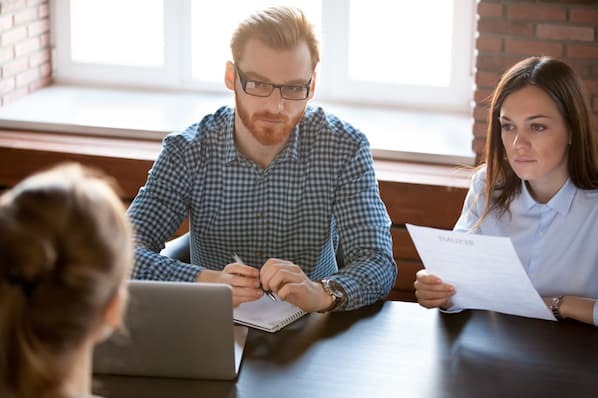 Candidates don't want to brief you on their entire job history during the short time they have to make a first impression -- they want to have a conversation. Instead, ask a question based on what stood out to you most from their resume and application. Show the candidate you're taking them seriously and want to learn more about them, beyond what's on paper. 2) Why are you leaving your current job? This question could lead to an awkward answer that doesn't cast the candidate in their best light. The answer could be highly personal, and it isn't that helpful for learning more about the candidate. Instead, ask them about their favorite part and biggest challenge of their current role. You'll learn more about their priorities, dealbreakers, and culture fit -- without the conversation becoming too negative. 3) What's the project you're most proud of? It's useful to learn what projects a candidate enjoys working on most, but you could take this question further by asking something broader. Instead, ask them to talk about how they produced a piece of work with multiple different teams. The answer will reveal how they work dynamically and as a project manager -- useful traits for most marketing and sales teams. 4) What's your biggest weakness? Simply put, it's presumptuous to assume that you understand what a candidate's perceived weaknesses are. The answer could exclude candidates from other cultures or industries who aren't familiar with yours, and it puts candidates in a negative state of mind. Instead, ask them to describe a challenge they faced in a role and how they handled it. The answer will teach you more about their problem-solving skills, without putting them in the awkward position of personal self-reflection. 5) What's your five-year career plan? 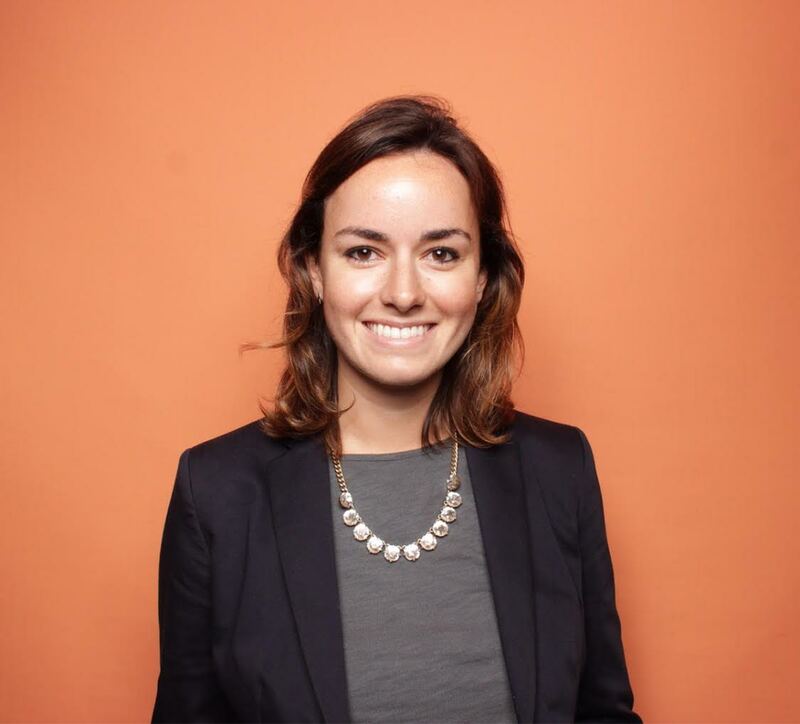 HubSpot Inbound Recruiting Manager Hannah Fleishman has made more inclusive hiring her mission, and she suggests replacing this interview question. "It can be a loaded question, especially for women, professionals who are thinking of starting a family, and even aspiring entrepreneurs who want to start a company one day." Instead, Fleishman suggests asking candidates a more specific question: "How does this role fit into your long-term career plans?" The answer will give you the information you're really looking for -- if the role and your organization present opportunities for them to grow. 6) What makes you passionate about your work? Candidates don't have to be passionate to be successful in a role. Sure, it helps -- but passion is such a subjective topic, it's not necessary for a job interview. Instead, ask them what makes them passionate about a company. The answer will tell you about their culture priorities and if they'll fit with the larger team they'll be working with. 7) Are you a team player? Generally speaking, we advise against asking yes or no questions. Open-ended questions are more conversational and will give you more information about the candidate. When it comes to this question, the answer is valuable, but a candidate is unlikely to self-identify as an individual worker. Likewise, your company probably doesn't have any roles that are completely solitary -- everyone has to attend meetings or work on campaigns at some point. Instead, ask the candidate what their ideal team dynamic is. You'll get the same answer you're looking for -- if they work well with others -- while allowing them to elaborate on their preferred working environment. 8) How many people do you think flew out of JFK Airport last year? Brain teasers might be entertaining to ask -- and they might teach you a thing or two about a candidate's problem-solving abilities -- but brain teasing questions like this one create too much stress for the candidate. They're usually ridiculously hard to solve and put the candidate on the spot -- without revealing a ton of helpful information. Instead, ask the candidate how they'd solve a problem that's common on your team. The answer will be more useful, and it won't take the candidate by surprise. 9) Sell me this pen. 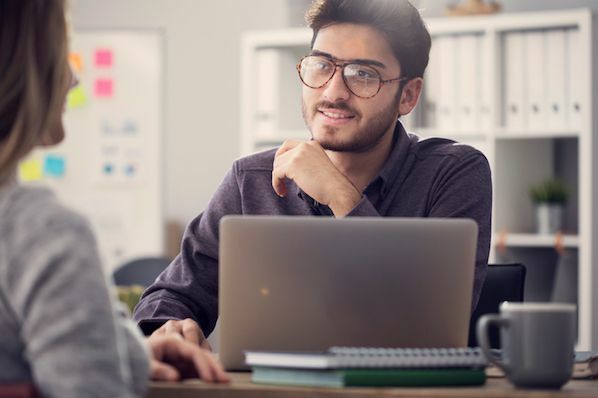 If you're hiring for a sales role, you should know: "Sell me this pen" has become such a frequently-asked question, it can be easily answered in a quick Google search before the interview. It might not give you the candidate's true selling abilities -- something you need to know before investing time and resources in training them. Instead, ask them how they would handle a common roadblock your sales team faces. The answer will prove if they've done their research, and it will give you an idea of their persuasion skills if they were on a call. 10) What's your salary history? Fleishman also suggests avoiding questions or discussions of salary or benefits until an offer has been extended to the candidate. "Salary history shouldn't determine what a candidate's offer package is," she says. "This question can actually discriminate against minorities who are more likely to be under-compensated compared to their peers -- which is why cities in New York and Massachusetts have banned it from interviews." Instead, scratch this question from your list altogether. The interview is only one piece of the puzzle for the candidate, but by asking more thoughtfully-phrased questions, you could be doing yourself and the candidate a favor. For more recruiting and hiring ideas for your next open marketing position, download our free ebook. What’s a common job interview question you wish would be retired? Share with us in the comments below.